Pant has only scored 93 runs in the five matches he has played in the ODI format. Ever since he played the 2016 U19 World Cup in Bangladesh, Rishabh Pant has been hogging the headlines owing to his swashbuckling style of play. Thereafter, he was made a part of the Delhi-based franchise in the Indian Premier League (IPL), and he didn’t take much time in capturing the imaginations of the selectors by playing some breathtaking knocks. In the very next year, he made his T20I debut against England at the M Chinnaswamy Stadium in Bangalore. Then it took him more one-and-a-half years in order to break into the ODI setup in the series against the Windies. Prior to that, he made his Test debut in England, replacing Dinesh Karthik, on the back on some impressive shows in the 2018 edition of the IPL. Though he has been stupendous in red-ball cricket, the 21-year-old hasn’t quite been able to replicate the same in the 50-overs format. The Uttarakhand-born made his debut against the Windies in Guwahati and has only been able to score 93 runs in five matches at a rather mediocre average of 23.25, albeit his strike-rate of 130.98 has been on the higher side. To add to his woes, the southpaw has been left out of India’s World Cup squad as well. 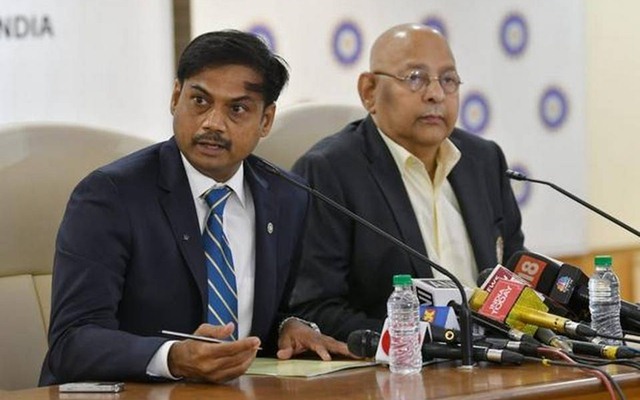 The tournament is scheduled to start on Thursday, May 30 in England and Wales, and chief selector MSK Prasad, along with secretary Amitabh Chaudhary eventually put forth the names who would be travelling for the mega event. The experienced Dinesh Karthik made the cut in his place. Meanwhile, Prasad talked about the reasons behind selecting Karthik ahead of Pant. “Definitely a case where we debated in length. We all were in unison that either pant or DK will come in only when Mahi is injured. In an important game, wicket keeping is also important. That’s the reason we went with Dinesh Karthik,” Prasad was quoted as saying in the press conference in Mumbai.